It was recently reported that RubyEncoder has been used in an exciting project with the US Department of Defence. Engineering and IT services company, Boecore, based in Colorado Springs, CO, has been using Ruby Encoder for one of the first Ruby on Rails projects for the DoD. The project, entitled BoBCAT, is deployed on an internal classified network for Information Assurance (IA) work. While the classified network protects against external threats, most thefts occur from within, and this is where Ruby Encoder has proven indispensable. With RubyEncoder in place, it is not possible for someone to access the server and change the code to transmit classified information; therefore this removed the vulnerability in scripted applications. Boecore has also taken into account protection of its own intellectual property (IP) on this project. With BoBCAT being deployed on a server over which Boecore has no direct access or control, it is important that they protect their IP, which is done by encrypting their code with RubyEncoder once the Government has approved it. 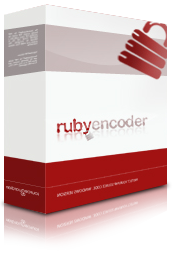 In short, Ruby Encoder gives Boecore’s BoBCAT application a level of security against malicious source code changes as well as intellectual property protection that wouldn’t otherwise be possible. Boecore is an engineering and information technology services company, headquartered in Colorado Springs, CO. Since 2000 Boecore has grown to have a workforce totalling over 100 employees who support a variety of Defence and Commercial customers in several core technical disciplines.